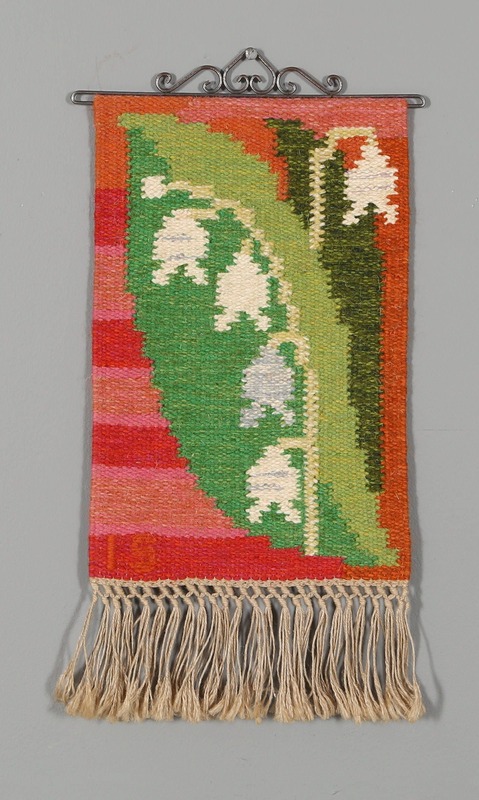 A wall hanging by Ingegerd Silow depicting a sprig of Lily of the Valley, small, simple and stunning. 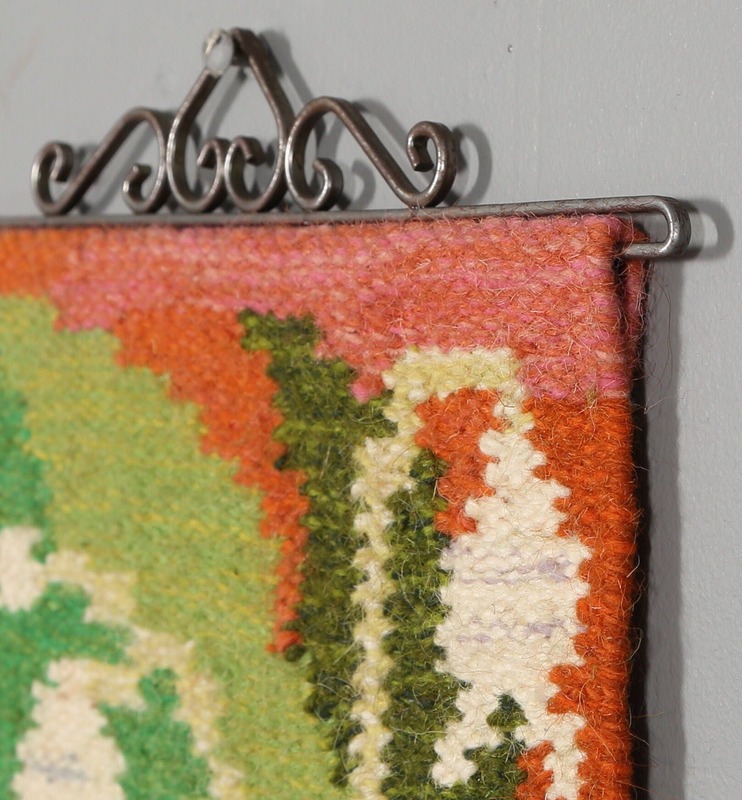 It carries the label to the reverse. Brightens up even the dullest day. 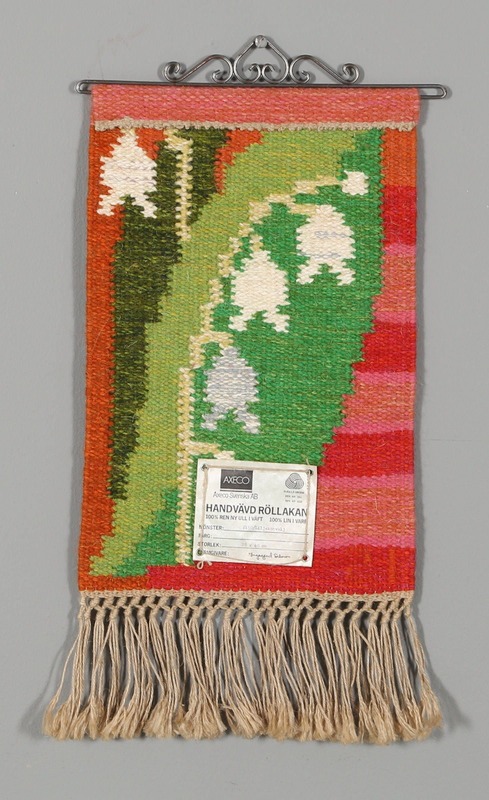 Ingegerd Silow (1916 – 2005) was a Swedish designer and master weaver. 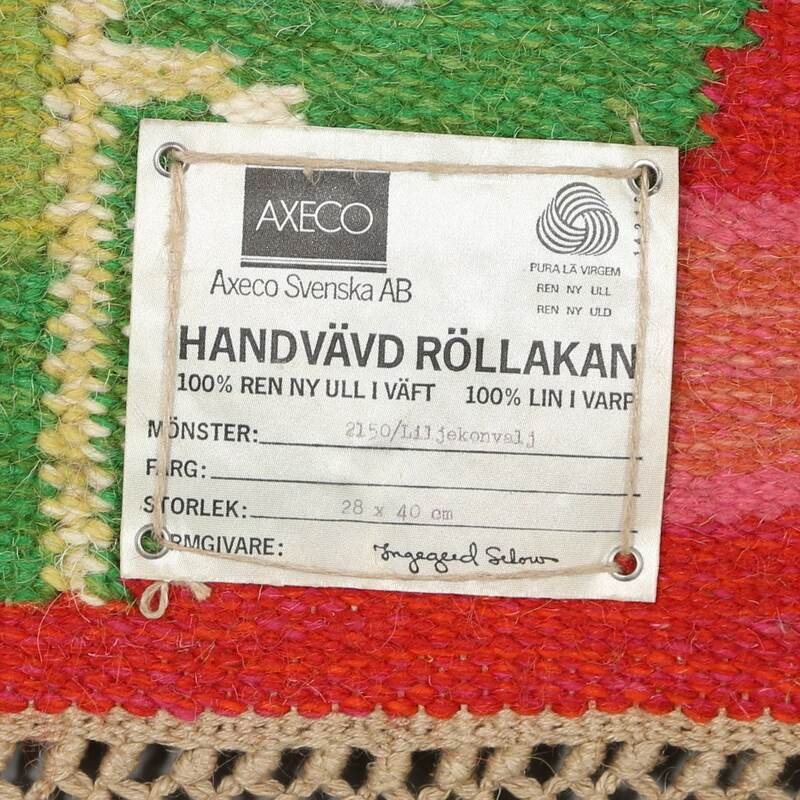 She went to the University College of Arts, Crafts and Design (Konstfack) in Stockholm, the School of Arts and Crafts (Kunsthåndværkerskolen) in Copenhagen and The School of the Association of Friends of Textile Art (Handarbetets vänners Vävskola) in Stockholm. I will gladly refund any any items within 14 days providing item is not as described.